Give the Gift of a Smile This Season of Giving! The holidays can be a tough time for children and their families who will be spending most of their time in treatment. As the season of giving approaches, we ask you to consider giving a gift of therapeutic comfort and play. Our Smilezones offer a range of fun, comforting and therapeutic elements that a child of any ability and with any interest can enjoy. This season, you choose how to help Smilezone kids in a way that connects with you! You can help make tough days a little brighter for kids facing health challenges by donating to any of the five categories below, including an array of much-needed items for upcoming Smilezone installations in hospitals & healthcare centres. 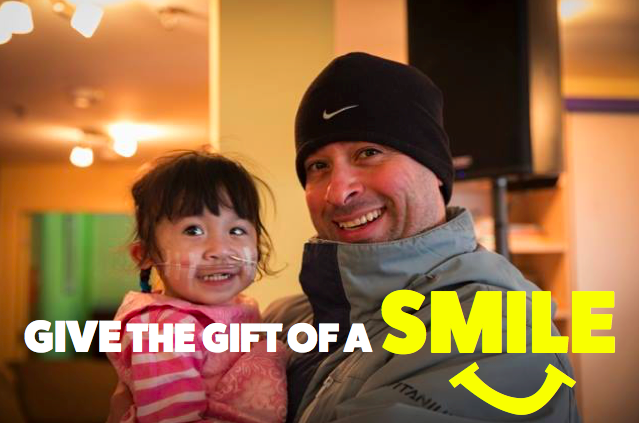 Click on the categories to learn more about how your gift will benefit kids and families in Smilezones across the province! Sensory play is important in child development, helping to stimulate a child’s senses and allow them to safely explore and learn more about their environment. We use our five senses to learn and explore, develop language, build social skills, exercise problem solving, encourage creative thinking, and to increase memory. Sensory play is also a great way to distract and soothe children during their hospital stays and treatments, by positively redirecting their anxieties and energy towards something fun. Through the use of tactile panels, bubble tubes, projectors, sand tables and many other beneficial sensory items, a Smilezone ensures children have all the tools they need to engage in fun and therapeutic healing. 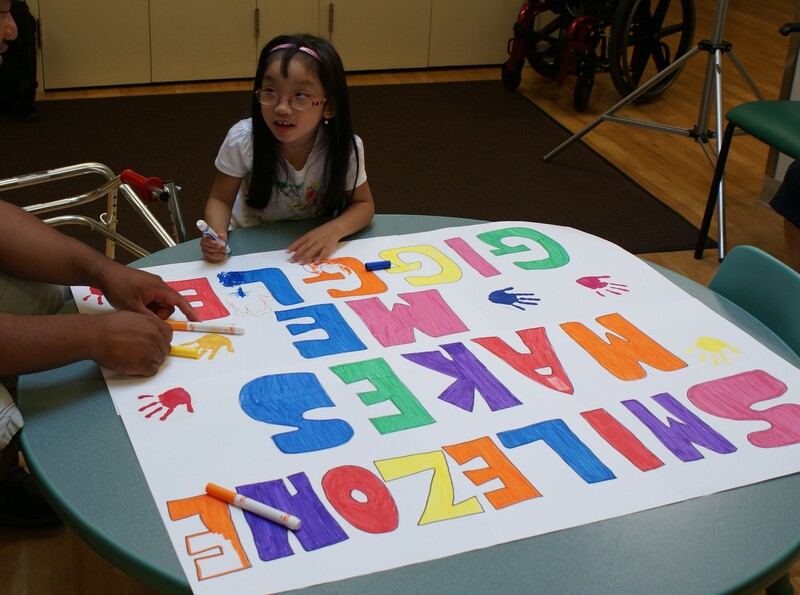 Research shows that art and music help the healing process for people of all ages and abilities. The murals we include in all Smilezones help to create a fun and comforting environment for the children during what can be a frightening time. We also include magnetic white boards, musical instruments, bluetooth speakers, and more in our Smilezones to provide children with opportunities to express their feelings and explore their creativity through art and music. Having comforts of home can make spending time in a hospital or treatment centre a little easier for children and their families. Simple comforts such as having a place to prepare and store home cooked meals, or a warm chair to rock children to sleep can make a world of difference. Because of your generosity, a Smilezone will make a sterile healthcare environment feel more like home to children and families, not only during the holidays but year-round. 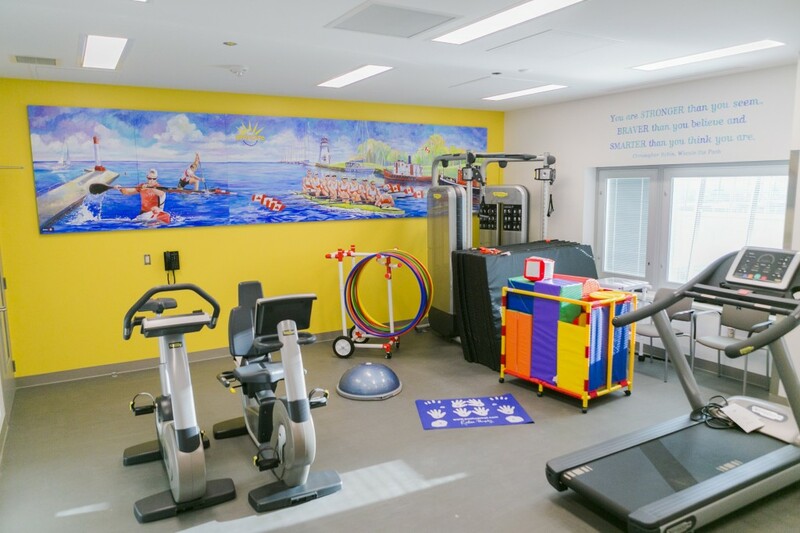 Physical therapy is used to help kids build and maintain muscle strength, increase coordination, encourage healing and reduce inflammation and pain. We incorporate many items in Smilezone physiotherapy spaces, so that children and physiotherapists have the things they need to work hard together in a fun and engaging way. Crash mats and yoga mats, walking trail sets, mood light spheres, and privacy screens allow children of all abilities to build and heal their muscles in fun and safe ways. Technology can be a very useful tool for healing and healthy development in children. 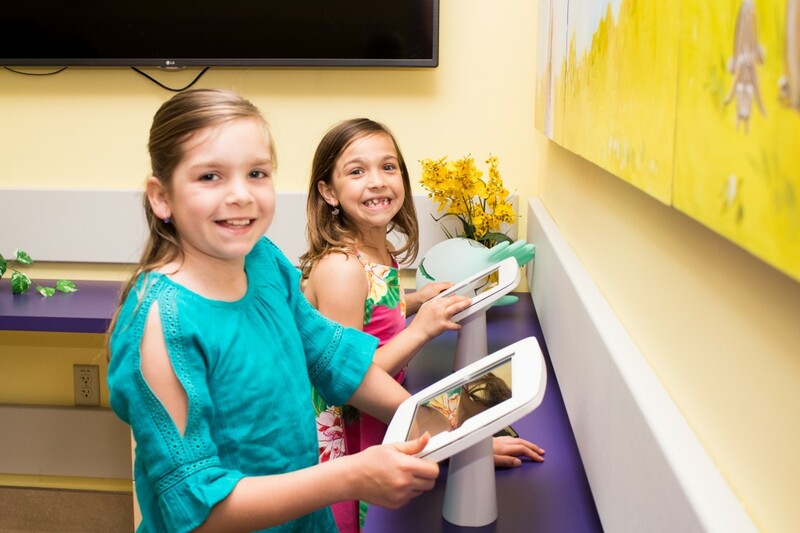 The technology we incorporate in all our Smilezones encourage fine motor development, improve hand-eye coordination, creativity, learning, and social interaction. 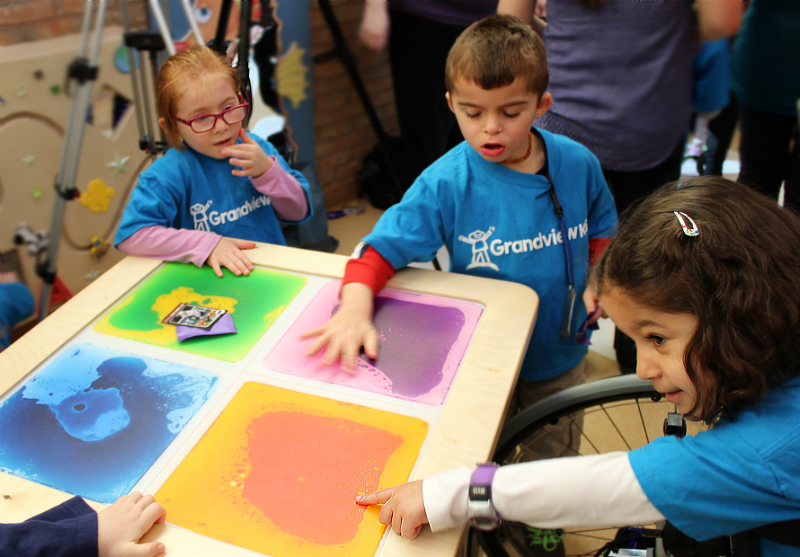 Whether its the iPads that make communication easier for both verbal and non-verbal children, or the interactive GestureTek floor projection system that gives kids of all ages and abilities an engaging game to play together… there is something fun and beneficial for everyone! Thank you for supporting Smilezone this holiday season! Whether it be through Sensory Development, Art & Music, Comforts of Home, Physical Therapy, or Technology – your generous gift is guaranteed to put a smile on a child’s face when it is most needed!